My journey to APiC begins, like most good stories, in childhood. I was a shy child whose school reports would always say something like “Jenny is doing well, but she needs to participate more in class!” I found these comments hurtful, suggesting that there was something wrong with my quiet, introspective nature. At the same time, my younger sister was born when I was eight years old and I would love coming home from a stressful day at school to play, learn, and talk with her. Looking back, it is clear these two elements of my life have significantly impacted my commitment to children’s rights — particularly the child’s right to play, rest leisure and access to cultural life, and the right of the child to participate in all matters that affect them (Articles 12 and 31 of the UN Convention on the Rights of the Child (UNCRC)). Something else that perplexed me was why people could only get to certain places easily with a car. Growing up in a car-free household in an English market town (Hertford), my family would walk or use public transport to get where we wanted and, on the whole, this worked out fine. However, there were places we couldn’t get to without a lift, and I could see that many people didn’t understand how we could live our lives this way. As I grew up I became more and more confused as to why public transport is so looked down on and car ownership so prized when so many of our lessons in school were about the consequences of pollution and climate change… I realise now the problem is not the individual, but the fact that our culture, transport, and land use policies still do little to challenge the necessity of the car. Living in the environments we do, it’s no wonder people don’t walk or cycle much – something still needs to change! My interest in towns and cities only grew as I got older, and in 2009 I began studying Urban and Regional Planning at Heriot-Watt University. I also started volunteering in 2011 for charity Planning Aid for Scotland (now known as PAS), and found my interest leaning towards devising and delivering place-based sessions in primary schools. I learnt about the UNCRC and, with my naïve and idealistic nature, found it hard to comprehend that a human rights convention ratified in the year I was born (1991) had never consciously impacted my life. I began to question whether myself and friends have ever really been given a fair chance to play outside and navigate our hometown independently (as in previous generations). I could also see the children I was interacting with had less freedom than I did as a child…. I started to consider that maybe my lack of participation in school was less about me, and more about how comfortable and included I felt in the classroom – with high pressure to follow teachers’ instructions; achieve your academic potential; and at the same time engage in an extraverted style that was not natural for me. As I drew to the end of my undergraduate course, I began looking at jobs in planning practice. In 2012, these were not forthcoming and whilst I was stressed about needing to find a job, none of the opportunities arising inspired me and felt like the real essence of planning – improving people’s lives! Whilst I believed (and still very much believe) that planning can be an important force for change, it seemed development decisions were increasingly made around economic, and not environmental and social factors. Consequently, when the opportunity to do a PhD arose I jumped at the challenge! I instantly knew I wanted to look at children’s rights and the planning system. Once I completed my PhD in 2016, I knew the work was not done. After all, as the age-old saying goes “if a tree falls in a forest and there is no one there to hear it, does it make a sound?”…. so if research is conducted on planning and then never communicated to planners, is it research at all? This is my reason for co-founding APiC. As time has gone on, I’ve become more convinced that built environment professions have a distinct impact on children’s lives. Yet, understanding children is not any major part of design or planning education, and adults increasingly don’t encounter children unless they are a parent. It’s no wonder children are being excluded from this process and public space, but I also know that most planners want better places and greater inclusion. 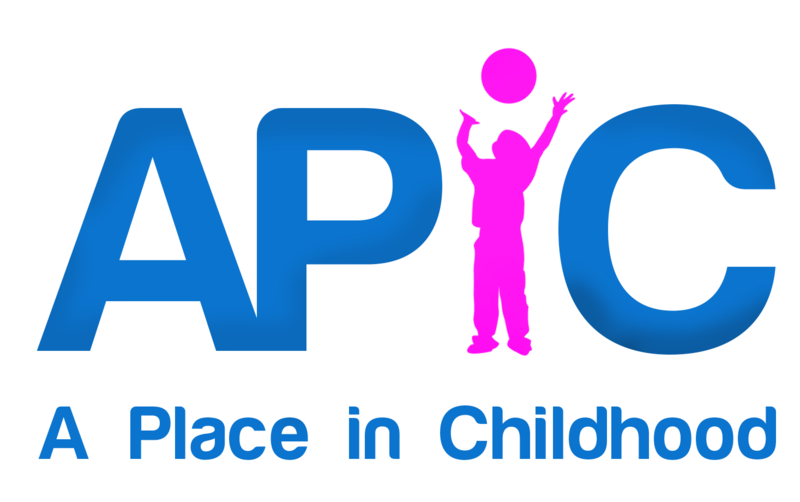 I hope that through APiC we can start to work with built environment professionals and children to create better places for us all. Let’s begin the conversation!